I came to the Money workshop to increase and ease flow of Money in my life. And I would like to say i am very happy with the Workshop. 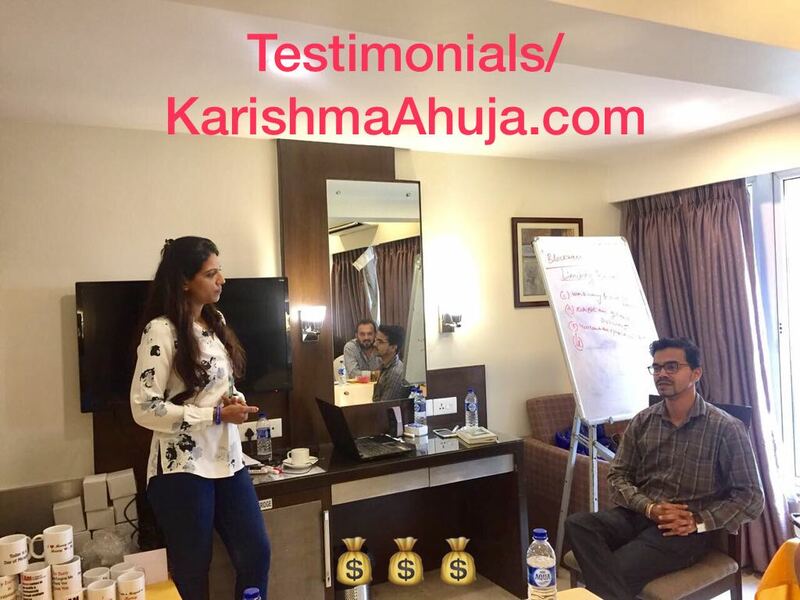 Very detailed explanation by Karishma maam on Money, how to break patterns and start using good easy tools. By the wonderful expertise given by KarishmaJi i already feel like my Money Vibartion has changed and i am so happy and confiident it will get better by better, day by day.